Phuket is one of the globe’s most desirable retirement havens drawing thousands of retirees to its sandy shores. In addition, demographic data indicates that Thailand is now a rapidly ageing society with 23% of the populace already over the age of 55. 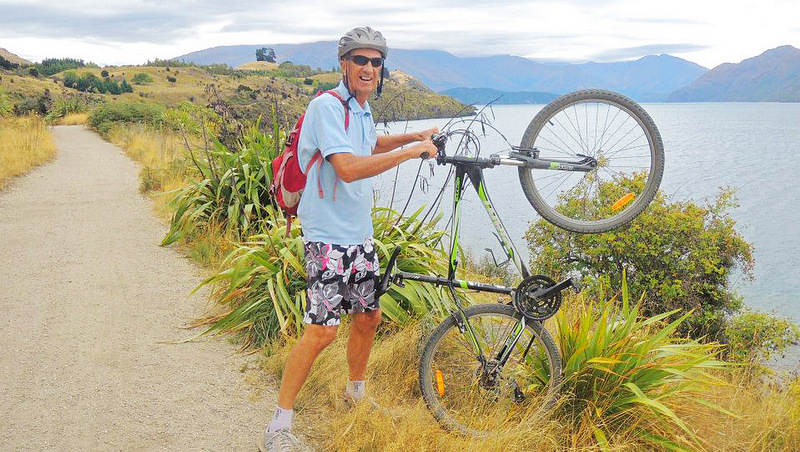 Queenstown, NZ, Baz clearly took a wrong turn at Sarasin Bridge. 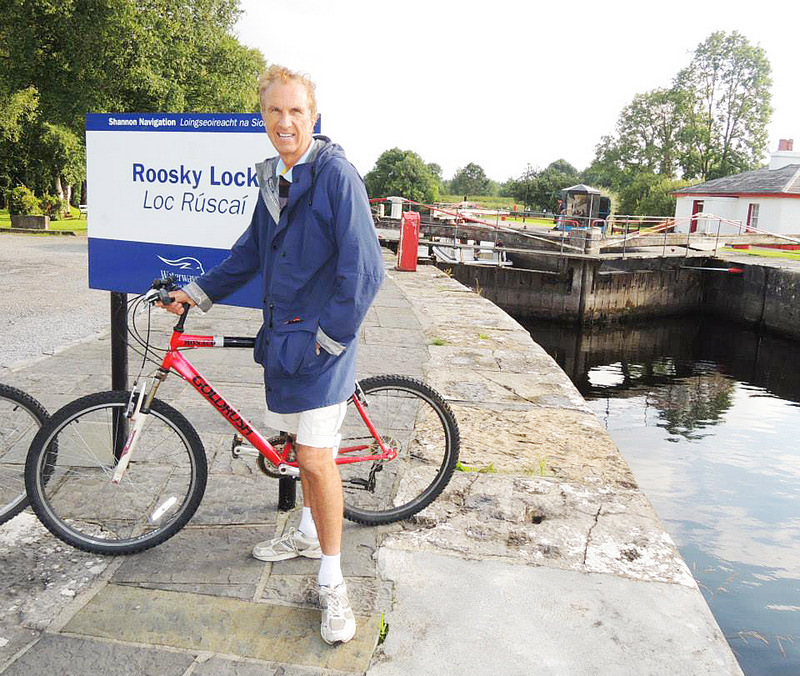 Navigating the River Shannon on two wheels in Ireland. Bear, Baz’s dog, enjoys a workout too. While many think that the effects of ageing are unavoidable, new research indicates that in fact the way and rate at which we age are largely mutable by the lifestyle and behavioural choices we make. In fact, if you want to slow down your ageing – all you have to do is move more and eat less. It’s as simple as that! New research on the effects of exercise on ageing clearly shows that active older people resemble much younger people physiologically and mentally. The findings suggest that many of our expectations about the inevitability of physical decline with advancing years are incorrect and that how we age is, to a large degree, up to us and the choices we make. Ageing remains a surprisingly mysterious process. A wealth of scientific research shows that many bodily and cellular processes change in undesirable ways as we grow older. But science has not been able to establish definitively whether such changes result primarily from the passage of time – in which case they are inevitable for anyone who stubbornly keeps celebrating birthdays – or result, at least in part, from lifestyle… meaning that they are mutable. This conundrum is particularly true in terms of activity. In Phuket older people generally tend to be quite sedentary, as they are all over the world. The research, however, shows that being sedentary certainly affects health, making it difficult to separate the effects of not moving from those of simply getting older. In new research, scientists at King’s College London removed inactivity as a factor in their study of ageing by looking at the health of a select group of older people who actively choose to exercise and move a lot. “We wanted to understand what happens to the functioning of our bodies as we get older if we take the best-case scenario,” said Stephen Harridge, the senior author of the study. To accomplish this, the scientists recruited men and women aged between 55 and 79 who bicycled regularly. The volunteers were all serious recreational riders, but not competitive athletes. The scientists then ran each volunteer through an array of physical and cognitive tests determining each cyclist’s endurance capacity, muscular mass and strength, pedalling power, metabolic health, balance, memory function, bone density and reflexes. The researchers compared the results of cyclists in the study against each other and also against standard benchmarks of supposedly normal ageing. It turned out, the cyclists did not show their age. On almost all measures, their physical functioning remained fairly stable across the decades and was much closer to that of young adults than of people their age. As a group, even the oldest cyclists had younger people’s levels of balance, reflexes, metabolic health and memory. Some aspects of ageing did, however, prove to be ineluctable. The oldest cyclists had less muscular power and mass than those in their 50s and early 60s and considerably lower overall aerobic capacities. Age does seem to reduce our endurance and strength to some extent, Dr Harridge said, even if we exercise. Even so, both of those measures were higher among the oldest cyclists than would be considered average among people aged 70 or above. All in all, the numbers strongly suggest that ageing’s effects are less dramatic in those who choose to keep active. “If you gave this data to a clinician and asked him to predict the age of one of the cyclists based on his or her test results”, Dr Harridge said, “it would be impossible.” On paper, they all look young. 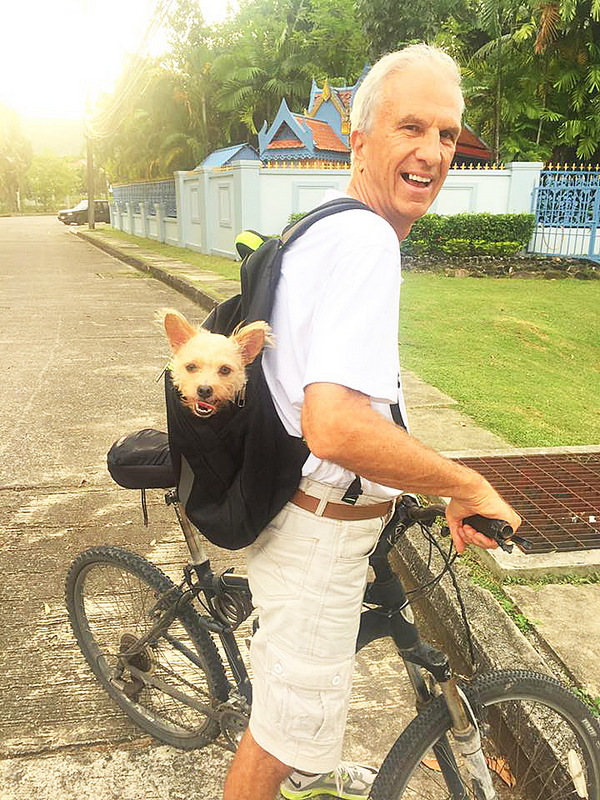 The evidence is clear and unequivocal that if you want to enjoy youthfulness with all its excellent mental and physical attributes for longer, simply get a bicycle and start pedaling around Phuket. But always take every precaution to remain safe and sound in our crazy island cycling environment. Whether it's to improve your health and fitness, as an environmental choice, taking up cycling could be good decisions you ever make. Cycling is possibly the coolest, the natural, and the healthiest way to travel.